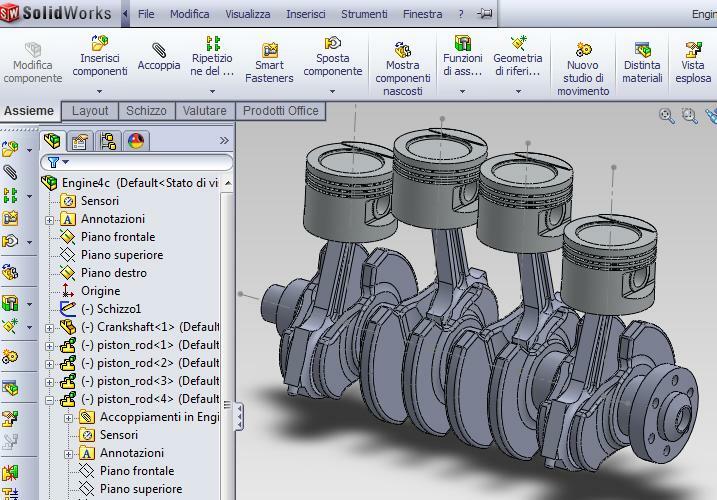 Chrono::SolidWorks is an add-in tool that allows to model complex mechanisms using the powerful SolidWorks 3D CAD software. The user can create mechanisms with mouse and 3D interface, then a description file can be output from SolidWorks and load in a C++ or Python program. The generated description file is actually a Python .py file that contains all the statements to create Chrono::Engine scenes, with masses, positions, collision shapes, assets for visualization, etc., so it basically saves you hours of blind programming. You only need to load the .py file in a simple Python program (or C++ program, using the Python module for parsing), add items to a ChSystem object, and run a loop for computing the simulation.